No one's saying that people's symptoms aren't real, but there's little doubt that more folks believe they have gluten sensitivities than actually have gluten sensitivities. A recent study sought to explore that a bit further. The paper, Suspected Non-celiac Gluten Sensitivity Confirmed in few Patients After Gluten Challenge in Double-blind, Placebo-controlled Trials, examined all of the double blind placebo controlled trials that in turn showcased a gluten and a placebo challenge in people with self-identified non-celiac gluten sensitivity (NCGS). All told, when combined, there were 1,312 such study participants involved in 10 studies (most with differing methodologies). 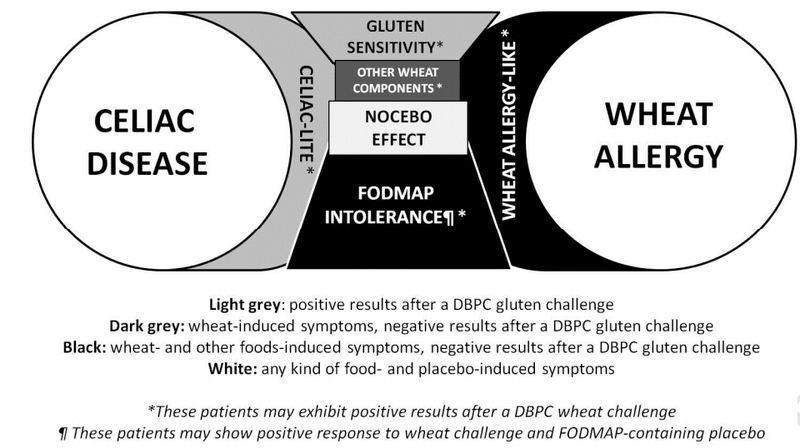 Without getting stuck too deep in the weeds, the authors assert that someone who truly suffered with NCGS should both develop symptoms while being presented with their gluten inclusive challenge, as well as lack those same symptoms when presented with their placebo challenge. While many did in fact show sensitivity to the gluten challenge, they also demonstrated sensitivity to the placebo challenge (meaning they reported side effects on placebo too). 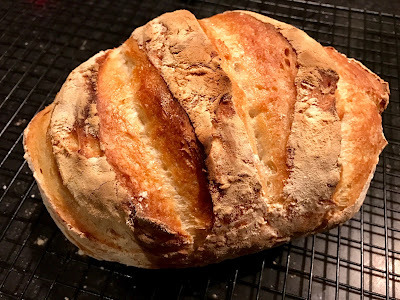 "The present review shows that over 80% of non-celiac patients, labelled as suffering from NCGS upon a favorable response to a gluten-free diet, cannot reach a formal diagnosis of NCGS after a double-blind, placebo-controlled gluten challenge." Of course there are weaknesses to their analysis (as the authors point out) including the fact that there is no consistent, evidence based, methodology for these sorts of studies and that many of the studies used smaller gluten doses than the average daily amount currently being consumed in Western countries. 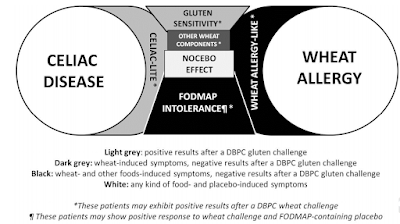 As to what's going on, the authors wonder too whether or not some studies are confounded by a failure to truly exclude those with celiac disease and/or whether some simply developed symptoms consequent to being sensitive to high FODMAPs. The authors also point out that it would be important to explore the many non-gluten proteins also found in wheat, and they included a diagram to explain the many possible symptomatic overlaps. But at the end of the day, does it matter for those who report suffering? Certainly if you suffer with a food sensitivity, and avoiding that food makes you feel better, no one, not me, nor the authors of this paper, would ever tell you to stop avoiding it.